I am so grateful to Silhouette for sponsoring another Silhouette Portrait cutting machine giveaway! One of my lucky subscribers will win their very own Silhouette Portrait. Thanks Silhouette for your amazing generosity! Wow! 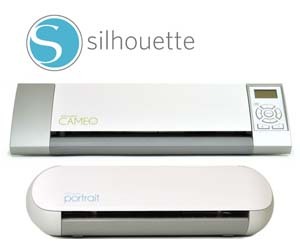 To enter to win the Silhouette Portrait cutting machine, you need to be an email subscriber of my blog. To subscribe click on the subscribe box located on the top right side of my blog (if you are not there already). Please remember to verify your email address to subscribe and to be eligible to win, Also leave a comment under this post, only one comment per person please. For additional chances to win, please help me spread the word about the giveaway. For each mention on your blog, Facebook post, or re-pin you receive an additional chance to win. Just leave an additional comment on this post that you did. You have until midnight MDT on Sunday December 7th to enter and the winner will be announced on Monday December 8th. Have a great day and please stop back on Wednesday to hear all about Silhouette’s gigantic Black Friday sale. I hope you are having a happy Thanksgiving week! I need a Silhouette!! Would LOVE to win!! Shared your post on my facebook page! I would love to win a portrait!! Thanks for e opportunity. Thanks for the chance to win. Happy Holidays to you. So generous of Silhouette and thanks for the chance to win. Wow, it would be great to win this silhouette. It would really change the way I craft and open up a whole new world to me! Thanks so much for the chance. i've been a subscriber for some time now! i would love to have a silhouette portrait! great giveaway. One lucky person will be extra excited to have an extra special Christmas present. Thanks for the opportunity to expand our creativity! Love your ideas and tutorials. What an awesome giveaway! One very happy person will be created! Happy Thanksgiving! What a wonderful give away! Been a long time follower! Thanks for the chance to win this awesome gift!!! Love your inspiring blog!!! What a wonderful gift! Thanks for the chance!! Another great giveaway! I'm a follower of your blog. Thanks for the chance. This will brighten someone's holiday! Happy Thanksgiving, Linda. Thank you Silhouette for the great sponsorship. What a great gift to give to my granddaughter for Xmas. I love my Cameo and this would please her to no end. I'm just amazed on all the things the silhouette does. It would be a pleasure to own one. And thank you so much in giving us the opportunity to win one and just in time for Christmas. Thank you again. Wow this would be an amazing gift for someone special. Thanks to you and Silhouette for the chance to win this. Thanks for a chance to win this great give-a-way. Thank you for the opportunity! The holidays will be even happier for whoever wins it! Thank you and Silhouette for another chance to win. Thanks once again Linda for giving us the opportunity to win such wonderful gift. As a subscriber, this chance is greatly appreciated. Thanks also to Silhouette! Thanks for the chance to win! cjdempsey9 at msn dot com I already subscribe. Thanks for the chance to win the Portrait. I would love to win this portrait because my stationery biz is going to TAKE OFF in 2015 and I need another cutter!!! Thanks for the opportunity to win one!! Thank you for the opportunity to win a Silhouette. Thanks for the chance to win the Portrait!! Silhouette has been so generous in supporting these giveaways. What a wonderful company! Thanks for the chance to win this amazing machine. I have dreamed of owning a Silhouette for years.....what a great Christmas present that would be!!!!! Have a wonderful Thanksgiving!!!!! So glad for another to win the Silhouette Portrait. You create so many lovely items with yours...I'd like to be able to do the same. Thanks so much and Happy Turkey Day. What a great giveaway! I would love to have a Silhouette! thank you for another chance to win this increThanksgiving. Thanks for the chance to win this great product ! I have really enjoyed your blog and look forward to checking out all the neat things you find. Thank you & Silhouette for this chance. Happy Thanksgiving. Awesome giveaway!! Thanks for the chance to win. Happy Thanksgiving! I'd love to win a Silhouette! I subscribe through Bloglovin. Thanks for another chance to win. I'm a happy subscriber! What a nice opportunity, thank you & Happy Thanksgiving. I would LOVE to win!! Thanks for the opportunity! Thanks for this great opportunity to win a Silhouette. Wishing. Wow! Thanks for the opportunity! Happy Holidays! Wow!! Thanks for the chance to win!! Happy Thanksgiving! i recently bought a scrapbooking book, LOVE IT. What a great giveaway opportunity! I would love to be entered, please. Great giveaway. Makes a great early X'mas present. Thank you for the great giveaway. Happy Thanksgiving. I would very much like to win a Silhouette Portrait. Thanks for the giveaway. Thank you for a chance at winning a Portrait...what a great prize!! What an amazing Christmas gift. I would love a Silhouette Portrait. I can't imagine winning a Silhouette Portrait for the holidays. Some one will surprised! I have been a subscriber of your email list for a number of years. I look forward to seeing what you have to share with us each day. Thanks for the chance to win a Silhouette. I would love to have one. I'm an email subscriber--lucky me! Someone is going to be very blessed to win this. I love giveaways! Would be wonderful if a Silhouette Portrait was my 1st major win! I'll be happy for the lucky winner! Yes I want to win this and already subscribe. Thanks! It would be so much fun to win this! Thanks for the chance. How cool is that! I've been looking at Silhouettes. Thanks for giving us an opportunity to win. Wow!!! What a Christmas present! Thanks for the dream. Too bad we all can't win! Oh my goodness, The Portrait is an awesome prize that I would love to win. Silhouette is so generous to donate a Portrait and Linda, you are just wonderful for hosting this great give-a-way. Love your blog! Thank you for the opportunity to win such a fabulous prize. What a lovely gesture. Thanks Linda and Silhouette. Pinned your give-a-way on my Pinterest page. Thanks for another chance to win the Silouette. I would STILL love to win this especially before Christmas. Great give away and great opportunity. Thank you. Wonderful givea1429way. Sure would make my Christmas!!! What a wonderful gift! Thanks Linda for the chance and for share, I really need it, I'd love to win!! Such a great giveaway thanks for the chance to win!!! The Silhouette Portrait is at the top of my holiday wishlist. So glad I saw your email about this fantastic giveaway! Great giveaway! Would love to win. Happy Holidays! Oh what fun it would be to win a Portrait ! ! I've been wanting one since they came out. Thank you for the opportunity. Thank you for the chance to win!! Love your blog. Keeping my fingers crossed. Thanks for this opportunity. Thank you for a chance to win the Silhouette. I just did small craftroom and have the perfect place for it. Thank you for a chance to win this amazing craft tool! !!! !luv present this wood look good under my tree what a great gift!!!! Wonderful gift, haven't tried one yet!!! I am so excited at having a chance to win a Silhouette Portrait. Thanks so much for the chance to win. I would love to give this to my daughter for Christmas. Love your blogs! I love watching all your videos! It would be awesome to win a Silhouette! Thanks for inspiring us and teaching us to be more creative! This would be an awesome Christmas present to myself!! I would be so thrilled (and blessed) to find this under my Christmas tree! fabulous giveaway!!!! Thanks for the chance...excited to see what you have in store for Christmas projects!! Would love to win the Silhouette Portrait, that would be a nice Christmas present. Love your blog, thank you for all your work on keeping us up to date on all the latest crafting sites and ideas. Already a happy subscriber :-) Thanks for a great giveaway! Oh, how I would love to win this! Thanks for the chance. Ich lese immer deine schönen Post und diese Silhuette reizt mich schon lange :-). Wäre sehr glücklich,diese zu gewinnen. Liebe Grüße aus Deutschland :-) ! Thanks for the chance to win. Have a wonderful Thanksgiving! Thank you for this chance to win ! I'm already a subscriber. This would be so neat. Thanks !! Thanks for the giveaway! I subscribed! I would love to have a Silhouette Portrait to make Christmas presents for my family. I shared on Facebook, pinned on Pinterest, tweeted and posted to Google+. thanks for the chance to win such a great cutting machine. 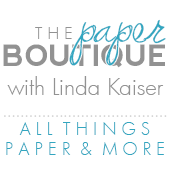 Linda, I love your blog! I'm a subsriber too ;) Have a wonderful thanksgiving! Thanks so much for the opportunity to win! I love getting your blog updates via email. There's always lots of inspiration! These days, I'm especially enjoying your Simply Organized Sunday posts. thank you! hope i win the silhouette !!! I would love to win this for my Daughter. She and her Daughter want one so bad. This would great for to spend Mother-Daughter time. Thanks so much for the chance. Thanks for the opportunity to win. Happy Holidays! Thanks for another opportunity to win the Portrait!! Shared your post on my Google+ page! Would love to win this amazing tool. Thanks for a chance to win! Happy Thanksgiving! Sending you wishes for a very Happy Thanksgiving! Thank you for offering this great giveaway! Love your blog!! Thanks for the chance to win!! Have a blessed Thanksgiving!! The only way I will get to try the Silhouette is to win one! This would be an amazing Christmas present to me!!! Love your blog! WOW! What a fantastic giveaway. I would so love to win this. Think of the possibilities. Thanks for the opportunity. Thanks so much for all your educational blog postings. We are grateful for you! I would love to win!! Off to share, share, share!! Great giveaway. I am already subscribed to receive email. I am a faithful subscriber. Thank you for the opportunity to win! Thank you for this awesome giveaway. You are an inspiration to me with your creations. Happy Thanksgiving Linda!! I would love to win any silhouette product but this one is high on my list of wants. Excited to win one. .. Thank you for this great offer. Love our blog. Mary M.
Hope I am the needle in the haystack that is found. Shared on FB. Thank you Linda and good luck to all. What a lovely way to start the holidays. Thank you for another chance to win. Thank you for this chance. Love your blog and your creativeness! I love the way you teach and all the information you so freely share..
You are a born teacher.. Bless you. Just tried one out for the first time and I loved it so it would be nice to win one. Thanks for the chance to do so. I would love the opportunity to win and use a Silhouette! This is my first time entering one of your giveaways. I just love your site and how you present the materials and videos. You have inspired me....Thank You, Linda and a great big Thank You to Silhouette!! I also pinned this to my Pinterest board. Hope I win it for my daughter! I subscribe to your blog. thanks for this awesome giveaway! I am a new fan of yours on Facebook and I posted a comment. http://www.pinterest.com/pin/526076800197388963/ I follow you on facebook and I pinned!